With today’s busy schedules, it can be harder than ever to fit music lessons and activities into your family’s life. That’s why you need a music school that provides maximum flexibility and has a staff that is understanding and attentive to your needs. When you’re looking for a music school, make sure it offers the 5 perks described below. Students today often juggle numerous after-school and extracurricular activities other than music. Despite the best of intentions, it can be all too easy to miss a lesson or to have to cancel at the last minute due to illness or unexpected double booking. One of the benefits of taking professional music lessons at the right school is that they won’t penalize your child for being overscheduled or ill. As a perk, the best schools set aside dedicated makeup times each week, ensuring that anyone who misses a lesson for any reason can make this up promptly so as to not fall behind. By offering this perk, schools show that they are prioritizing student progress and musical advancement. Some music schools will try to lock you into a contract for up to a year in advance. The school you choose should put you first, recognizing that you may not be financially able to commit to a long-term contract. The benefit of a no-contract payment plan that goes from month-to-month makes music education more affordable for everyone, enabling more people in the area to have music in their lives. This type of payment plan also enables you to take time off for vacations or other activities without being charged during the time you’re away. To maximize your musical progress, look for a school that has won awards and accolades for teaching excellence, including Top Choice and Consumer’s Choice prizes. These awards are verification of the school’s quality and commitment to excellence. In particular, schools that have won awards for multiple years should be major contenders in your music school search. Learning from experienced instructors is of the utmost importance to a student’s wellbeing and musical progress. Each student has a different personality and learning style, and an experienced teacher knows how to adapt his or her teaching to a student’s individual needs. As a student ages, advances, or changes his or her playing style or musical interests, it may be necessary to change instructors. Being able to have different instructors at the same facility helps students transition in a familiar environment, accelerating both the transition and their musical progress. While most schools make a point of prioritizing student safety, the combination of technological advances and caring, vigilant staff in this process is a true perk. To reassure parents and children, top music academies now use video cameras in all teaching rooms. The cameras broadcast a live video feed to screens in the lobby, enabling parents and office staff to view what is happening in every lesson. This measure is combined with observation windows in every room and with an “open door” policy that allows parents to enter their child’s lessons at any time. Full-time office staff are always available so that any queries can be promptly addressed. 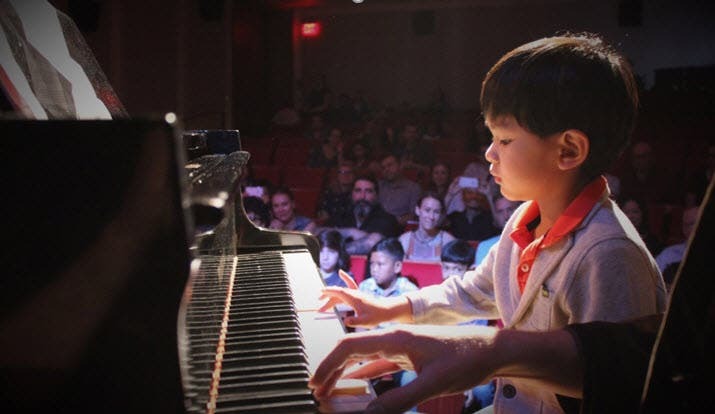 If you’re searching for the perfect music school for your kids, consider one that brings the full package — and includes the above perks. It will go a long way to improving the musical education of your child.